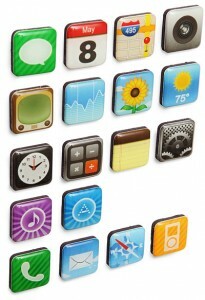 They look like your apps, but they are magnets. For your fridge and stuff. 18 different magnets per set.